Whether you are travelling for business or leisure, access to an airport lounge can help you relax in comfort before your flight. Qantas boasts a large network of lounges for Australians at home, along with an extensive number overseas. We’ve put together comprehensive guide to help you discover the Qantas Lounge network. We’ll also explain access rules and cover the different ways you could score a visit before your next flight. 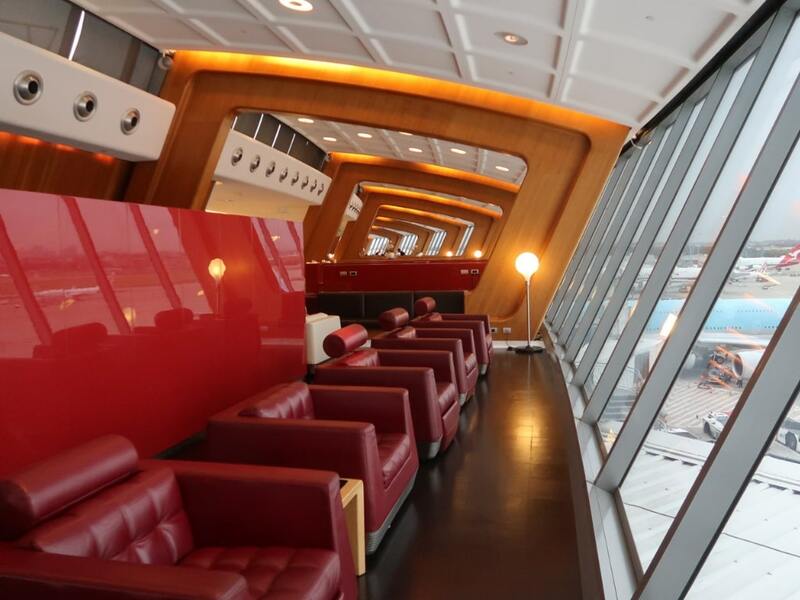 Qantas Lounges are operated in over 50 locations in Australia and overseas. From base level domestic Qantas Clubs to the ultra premium Qantas International First Lounges, a visit could see you treated to a range of convenient and comfortable facilities to enjoy before your flight. What amenities do Qantas Lounges offer? Qantas operates multiple tiers of lounges, and the benefits on offer vary by location and size. At one end of the scale, visitors to the exclusive Qantas First Lounge can indulge in complimentary spa treatments and no less than three types of Champagne. On the other hand, small, regional domestic Qantas Clubs may only offer limited facilities. Food: Food is offered at all locations, but the quality and format can vary widely. At the very top end, the Qantas International First Lounge offers a Neil Perry inspired a la carte dining menu, while regional Qantas Clubs may only provide a limited cold buffet selection and / or pre-packaged goods. Drinks: All Qantas Lounges offer self-service tea and coffee stations, with larger lounges operating a barista coffee service in the morning. Bar services are usually open for consumption from midday onwards. WiFi: WiFi is provided for all Lounge guests, and it is usually password protected. The speed of the WiFi on offer may depend on the location of the lounge. Bathrooms and showers: All lounges provide bathroom facilities, and most offer private shower facilities. Reading materials: A variety of reading materials is provided at each lounge. This generally includes local papers, as well as selected magazines. Business centre: all lounges offer a space for business travellers to power up and work, with power points and docking areas widely available. Some lounges offer dedicated Apple computers, printers and even phones for usage. Children’s space: A number of lounges (predominantly Qantas Clubs) offer play zones for children. The Zones are often kitted out with a TV, play mat, toys and a dedicated children’s computer. If you’re fortunate enough to be visiting a premium lounge, it pays to arrive early so that you can enjoy all the different amenities and facilities on offer. Amenities and access rules vary widely between the different lounge tiers, as we’ll outline in this post. 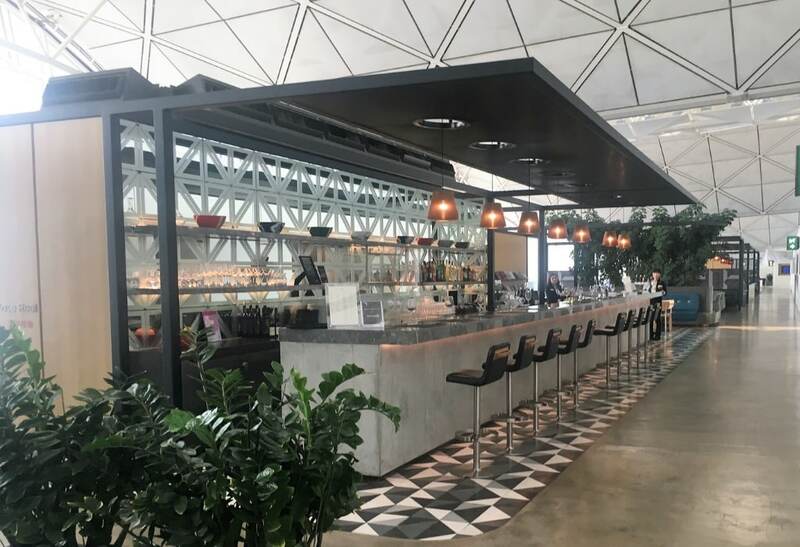 If you’re flying around Australia or if you have a domestic connection to an international flight, chances are that you’ll be heading to the Qantas Club to relax before your flight. A base-level lounge, the Qantas Club is operated in all capital cities along with a number of regional locations. Qantas Clubs have the most relaxed entry requirements, and as a result, they can tend to get crowded at peak times. A Qantas Club membership unlocks access to these lounges. You can find out more here. The facilities on offer are a slight cut above what you’ll find in the Qantas Club, with slightly more premium food and beverages available. Qantas International Business Lounges are mostly located airside in the international terminal. However, visitors to lounges in smaller capital cities such as Adelaide and Darwin might be surprised to see that these are actually dual-function Qantas Club Lounges, located at the domestic gates. The Qantas International Business Lounge, Sydney Airport, is due for refurbishment in 2019. In recent years, Qantas has embarked on the development a range of ultra-premium combined business and first class flagship lounges that you’ll want to spend some serious time in. Strikingly designed, visitors to these world-class lounges can expect to enjoy a la carte dining, premium beverage options and a range of other high end facilities. Qantas operates a small network of International Lounges. At the time of writing, locations include Brisbane, Hong Kong, London, Perth and Singapore (with a separate Singapore First Lounge due to open at the end of 2019). Most Qantas International Lounges offer an a la carte selection. At the Singapore Lounge, this is a signature laksa, while the Qantas Hong Kong Lounge serves up a delectable Spice Temple inspired bbq pork dish. For discerning travellers, Qantas operates a small number dedicated first class lounges, in Sydney, Melbourne and Los Angeles (there’s also a First Lounge located in Auckland, which doesn’t offer the range of amenities we’ve covered here – it is essentially a smaller room within the Qantas Auckland Business Lounge). These stunning spaces are widely considered to be amongst the best airport lounges in the world. Guests are pampered with spa treatments, a la carte dining and a range of Champagnes and high end wines on pour. Naturally, access to these lounges is restricted to a select few – as we’ll outline further down in this post. You can also read our in depth guide to visiting the Qantas First Lounge here, with an overview of the Spa facilities here. Qantas Chairman’s Lounge is the highest tier of Qantas status, though there’s no point chasing it – membership is by invitation only. Those lucky enough to enjoy membership of this exclusive program are hand-picked every two years by the Qantas Chairman from the ranks of politics, media, business and celebrity. A membership unlocks access to exclusive lounges located behind non-descript doors in six of Australia’s domestic airports. Chairmans Lounge members also gain access to Qantas First Class Lounges when travelling internationally. In addition to Qantas operated lounges, Qantas has access agreements in place with a range of associated lounges that are operated in conjunction with partner airlines or external organisations. This includes Emirates lounges at Dubai, along with spaces operated by OneWorld partner airlines such as American Airlines and Cathay Pacific at airports where Qantas doesn’t provide a lounge of its own. Access requirements to these lounges vary considerably, Check the Qantas website for up to date information before you travel. Access to Qantas Lounges is provided as a benefit to passengers travelling in Business or First Class on Qantas or partner airlines and high tier Qantas or partner airline frequent flyers. Selected Qantas Lounges are also able to be accessed by Qantas Club members and those holding single entry Qantas Lounge passes obtained from Qantas co-brand credit cards. *Excludes access to the Singapore Lounge, which is currently closed to single use Qantas Lounge passes and Qantas Club members due to overcrowding. Note that Lounge access rules can change from time to time. Current Qantas Lounge access rules can be accessed via the Qantas website. If you don’t hold Qantas elite or equivalent status, and you don’t see yourself travelling in business or first class anytime soon, there are still a few ways to arrange to visit selected Qantas Lounges. Qantas Club is a paid membership program that provides access to selected Qantas Lounges along with other Qantas benefits when travelling on Qantas or Jetstar flights. Membership can be costly, and the viability of joining up very much depends on your personal circumstances. More information can be found here. There are a range of Qantas credit cards that offer lounge passes for use at Qantas Club domestic lounges and selected Qantas International Business Class Lounges. Most cards offer two lounge passes each year you keep the card. You can browse our range of current Qantas Frequent Flyer credit cards here.